I saw this picture with this quote today and it put me into some thinking. 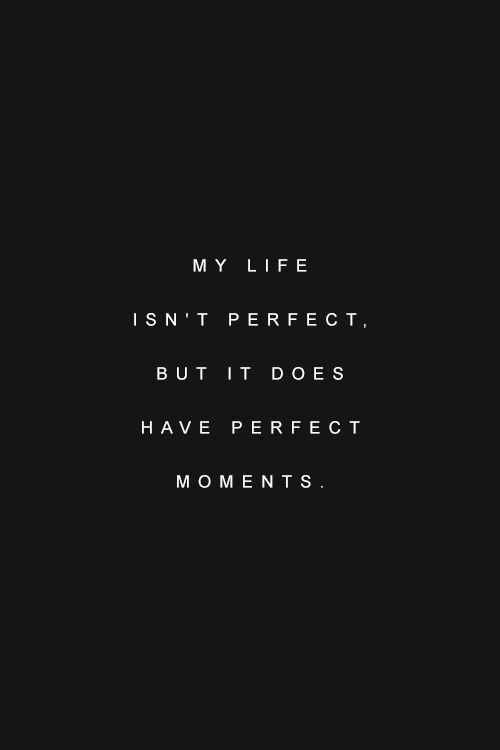 I couldn't agree more with this quote,this is exactly what a good life means,a life with perfect moments! It's impossible to have a ''perfect life'',we all have our ups and our downs! I might be just 17 but I already have some beautiful moments that I will remember my whole life and I know I am going to create many many more! This is my goal at life,to do a lot of traveling and meet people and see things which means to create as many as possible great memories!